in contrast to the gnarly root-bound peninsula. 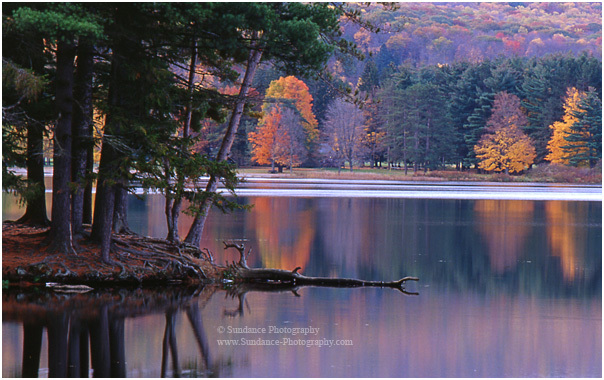 Red House Reflections of Autumn is custom mounted & matted in "Eggshell"
and is available in a Natural Oak frame. To save on shipping and packaging costs, you can pick up your order in Clarence, NY. Please check "Will Pick Up" below before clicking the ADD TO CART button. Sundance Photography will contact you to arrange a day/time for pick up.